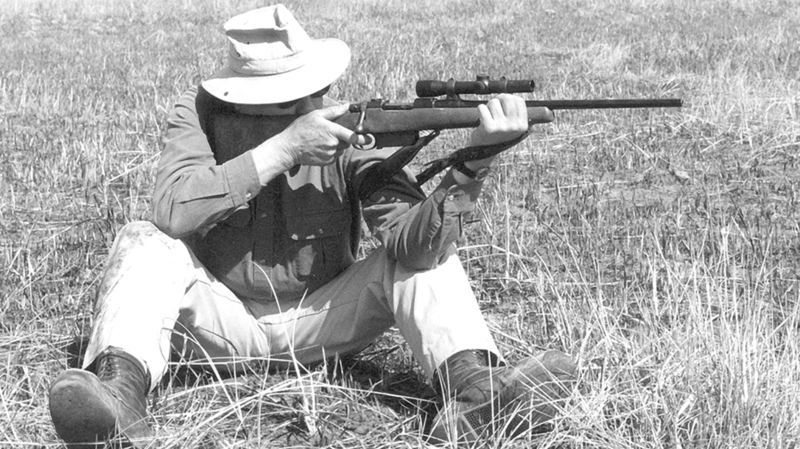 An avid shooter, hunter and a Marine, Jeff Cooper is known for pioneering many things, including the “scout rifle” concept, where one rifle with a forward-mounted scope can be used to handle a number of tasks. 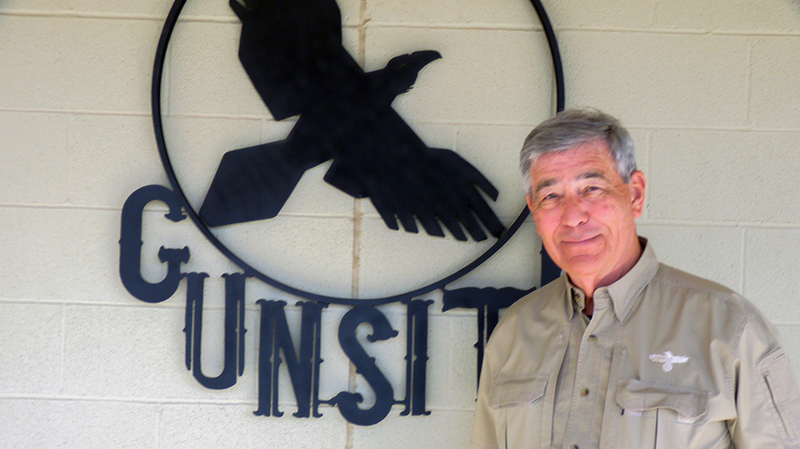 Buz Mills purchased Gunsite in 1999 and began transforming it into the world-renowned facility it is today. Even dignitaries and celebrities come to Gunsite for training. Some of its more well-known students include Joe Mantegna (shown), Katie Pavlich, Tom Selleck and King Abdullah of Jordan. 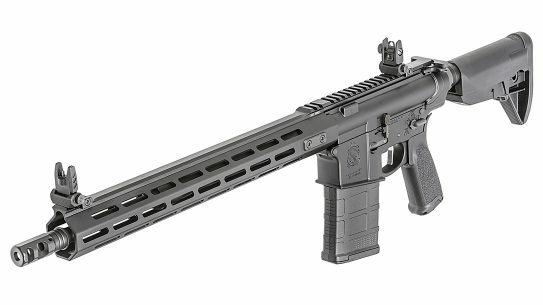 While the American Pistol Institute began with a focus on handguns, the modern-day Gunsite Academy offers a number of rifle-centric courses for today’s shooters. The “DVC” on Cooper’s podium stands for “diligentia vis celeritas,” which is Latin for accuracy, power and speed—the ultimate combination for fighting effectively. It sits in the gently rolling terrain of central Arizona. Covering over 2,800 acres, it has 20 ranges as well as indoor and outdoor simulators, all balanced in a sea of pinyons and low brush. 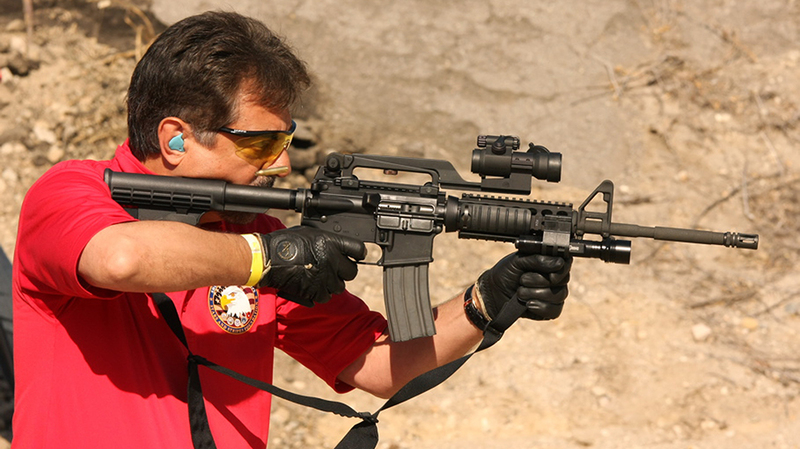 It is also one of the most prestigious shooting schools in the world. Welcome to Gunsite Academy. 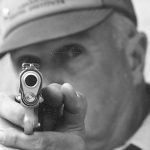 Founded in 1976 by the visionary Lieutenant Colonel Jeff Cooper, Gunsite has grown to become one of the most respected and successful shooting schools in history. 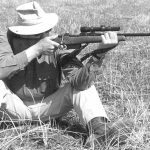 A history that is still being written as Gunsite celebrated its 40th anniversary a couple of years ago and looks to the future. 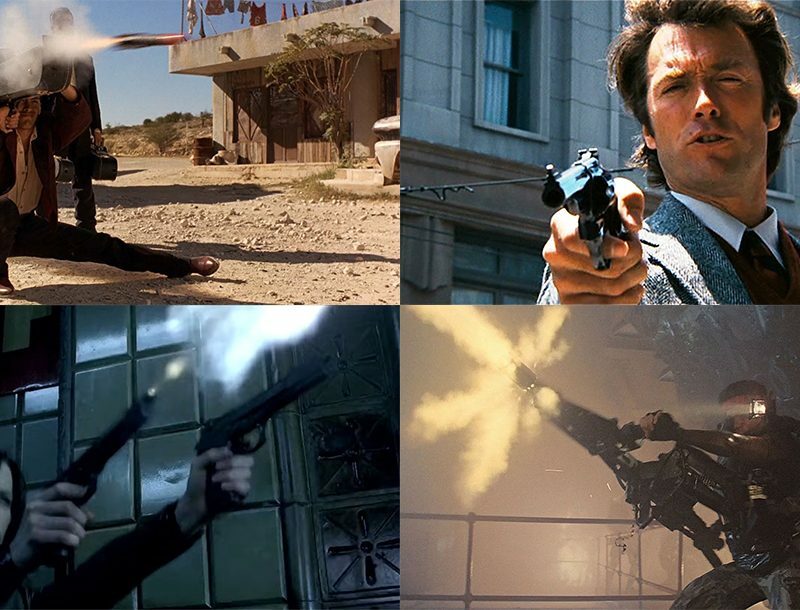 But Cooper was much more than just a gun aficionado. He held a bachelor’s degree in political science from Stanford. He also held a master’s degree in history from the University of California, Riverdale. 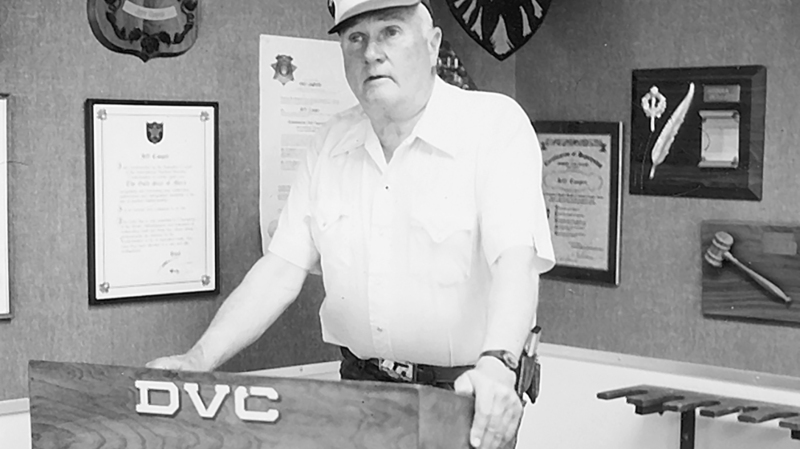 Furthermore, he received a commission in the United States Marine Corps in September of 1941. 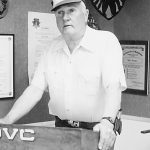 He served in the Pacific Theater during World War II. He also served in the Korean War, where he would reach the rank of lieutenant colonel. Later, he would spend some time teaching history at the college level. 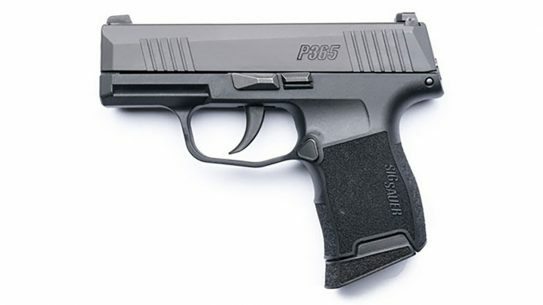 Cooper is credited with several firearms doctrines, including the four firearms safety rules and the color codes of awareness. Lt. Col. Cooper is also known as a prolific writer; he penned columns for countless magazines as well as several successful books. 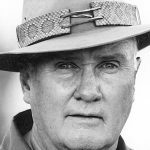 One of his most popular books shared his passion for not only topics such as hunting and firearms, but also for the fundamental principles of being an upstanding person. 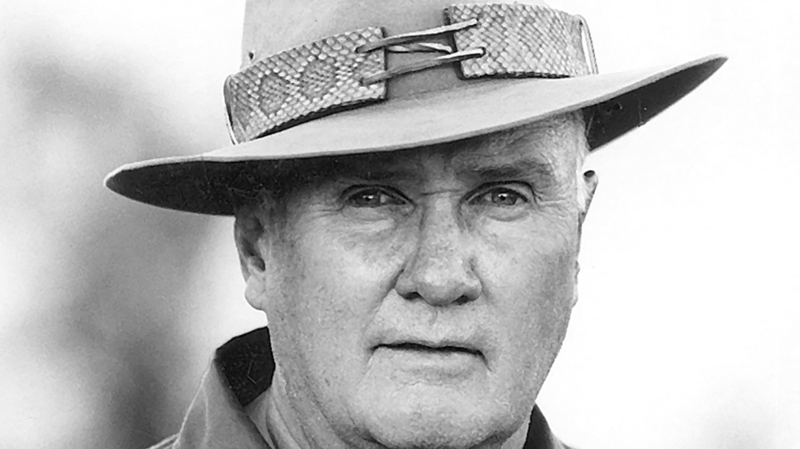 To Ride, Shoot Straight, and Speak the Truth is as much a look at Lt. Col. Cooper as it is a great source of information and stories. Sadly, Cooper died at his home on the afternoon of Monday, September 25, 2006, at the age of 86. His wife of 64 years, Janelle, still lives on the Gunsite ranch and oversees Jeff’s library and museum in their home. 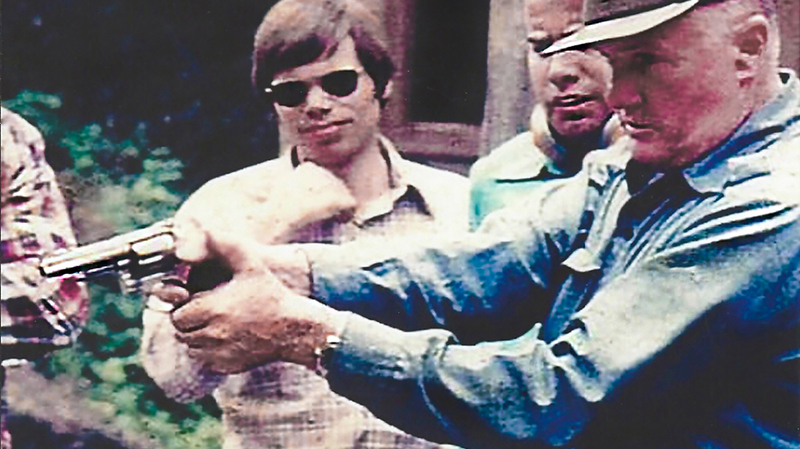 In 1992, the American Pistol Institute became the Gunsite Training Center. Then, in December of 1999, Gunsite was purchased by Buz Mills, himself a graduate of the Cooper-run Gunsite. Mills made some crucial improvements, including expanding the acreage, adding new ranges, upgrading access roads and more. At that point, it became known as Gunsite Academy and since then has enjoyed a resurgence of success and prestige. 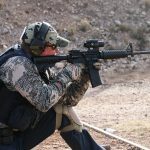 Gunsite has trained a spectrum of students ranging from civilians getting the fundamentals of marksmanship to foreign military personnel looking for advanced weapons training. In addition, it has been a go-to school for serious law enforcement training for decades and continues to develop modern courses based on changing times and threats. 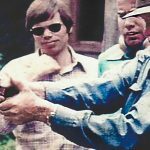 Gunsite has also been a draw for celebrities and dignitaries over the years. 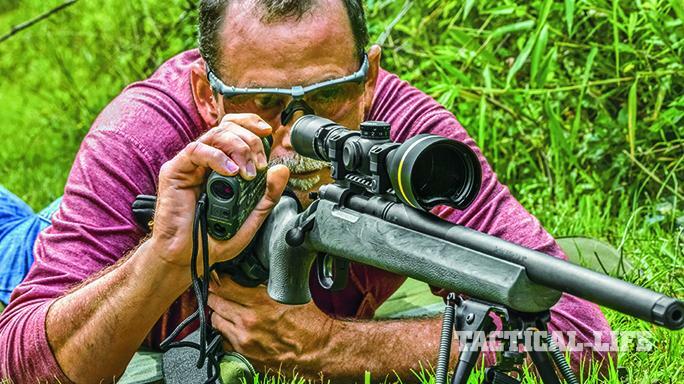 While many choose to embrace the anonymity that Gunsite professionally provides, some are quick to share their experiences. Some of the more well-known students include Joe Mantegna, Katie Pavlich, Tom Selleck and even King Abdullah of Jordan. 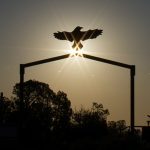 While the early days of the American Pistol Institute were obviously handgun centric, the modern Gunsite Academy is a diverse gold mine of training opportunities. 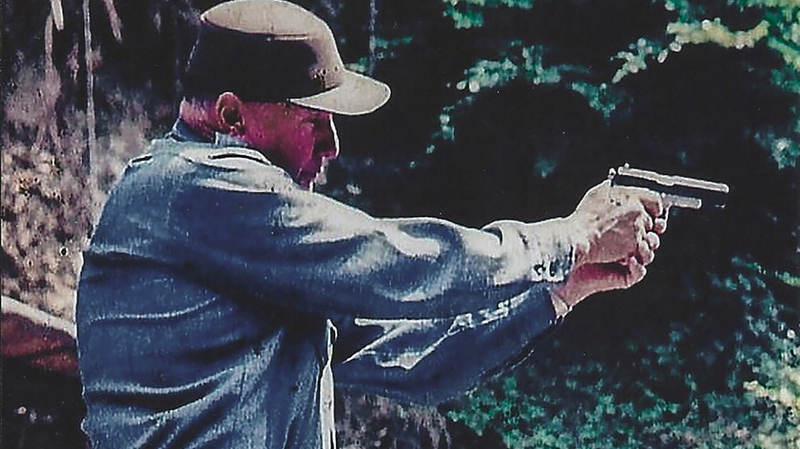 Still a core component of its training, a variety of handgun courses populates the Gunsite catalogue. 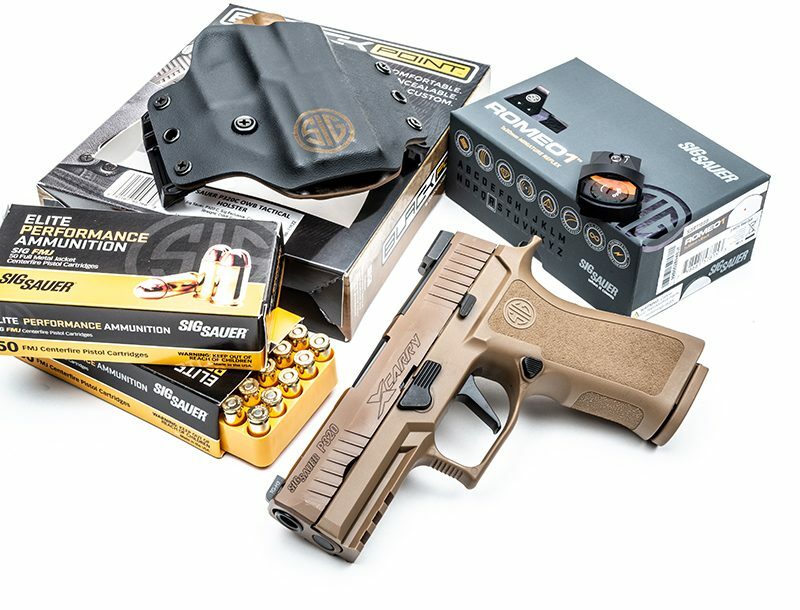 Ranging from the beginner “250 Pistol” class to the “499 Advanced Pistol” class, these are in many ways the cornerstone of Gunsite, yet they are just a part of a spectrum of training. 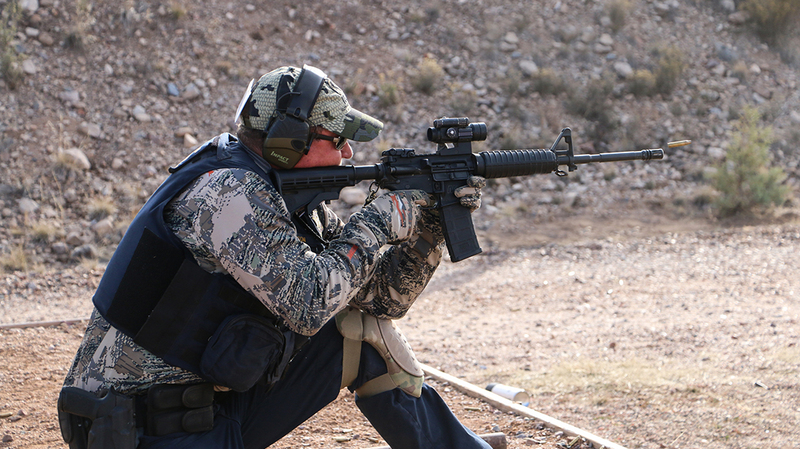 Classes include multiple levels of carbine, shotgun and extreme long-range rifle training. 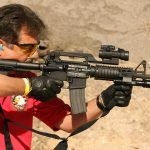 You’ll also find unique courses such as Active Shooter/Terrorist Response for civilians, Defensive Vehicle Tactics Training and Disaster Preparedness Tactics to name a few. 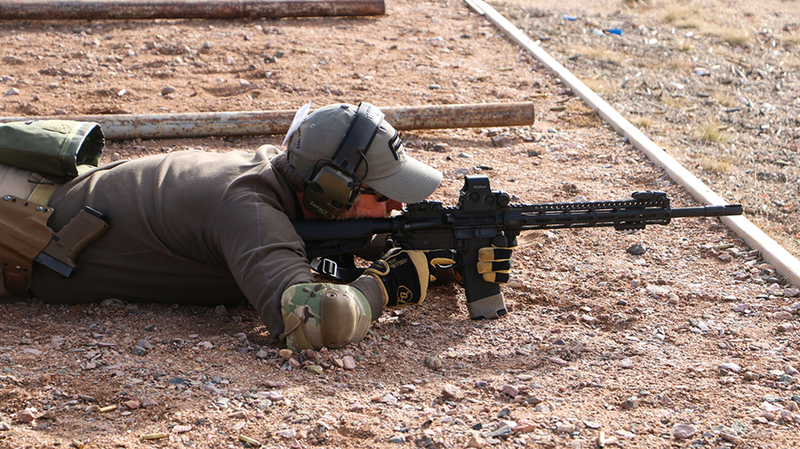 Along with its publicly listed courses, Gunsite plays host to countless private training events each year. I recently had the pleasure of taking part in one such course centered around small-framed 1911s and revolvers. 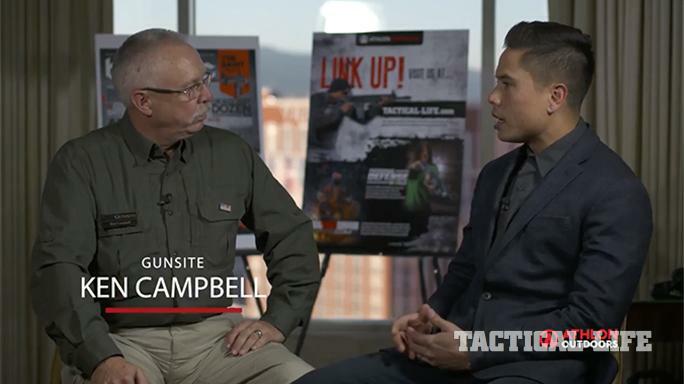 It was a dual pleasure for me because the course was run by Ken Campbell, the chief operating officer of Gunsite. Ken has been with Gunsite for over 25 years and brings 35 years of real-world experience with him. 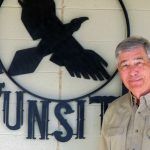 Spending time with Ken was an opportunity to see what the essence of Gunsite really is: a school that is a perfect balance of serious training and enjoyable experiences. The facility itself is spectacular. Sitting just west of Paulden, Arizona, about 20 miles north of Prescott in the high Sonoran Desert, it is a beautiful location. Surrounded by rolling hills at 5,000 feet, it is brushed by the western sun with wide-open landscapes that will make any visitor pause. 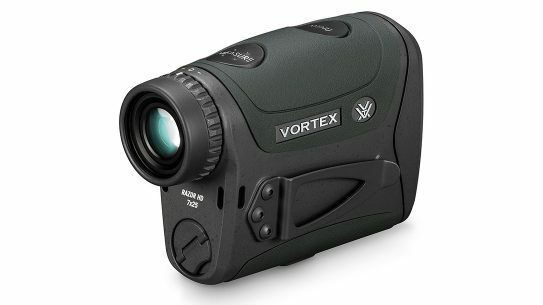 The ranges themselves are woven into the landscape and manage to mix shooting with nature. 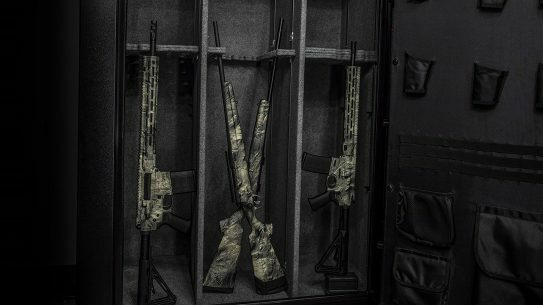 Gunsite has a variety of different ranges purpose-built for its class offerings, including outdoor and indoor simulators, a 400-yard known-distance rifle range, an unknown-distance range and various steel ranges for specific purposes. Furthermore, most of the target arrays move, turn, run, pop up, or appear and disappear. 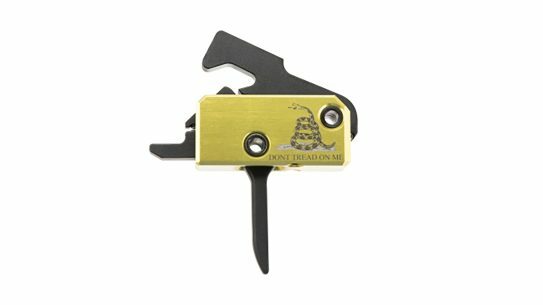 Defensive shooting has as much to do with a trained mind as it does with actually firing a weapon. 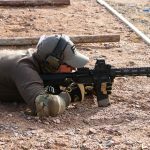 The methodology used by Gunsite to convey these lessons is measured and professionally integrated into the training. A 40-year anniversary for any business is an incredible accomplishment. Even more so for something as unique as Gunsite Academy. It does not manufacture widgets, nor does it sell a product used in homes. Instead, the facility teaches lifesaving skills. With that being said, a 40-year celebration was certainly in order. 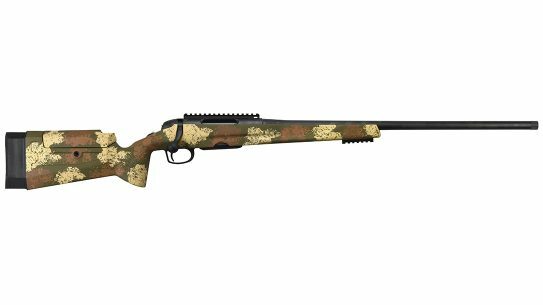 The celebration would take place in symphony with the annual Gunsite Alumni Shoot (GAS) shooting match. Consequently, October 1, 2016, saw a record crowd for this annual event. Over 230 shooters descended on the event along with a large crowd of Gunsite family members eager to celebrate four decades of making people safer. They held a match with 10 stages, along with six side matches, and were still able to pull it off—even with the huge crowd. 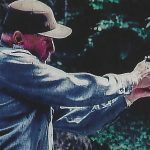 In fact, concerns about the match going long were quickly put to rest as the Gunsite staff and instructors (supported by countless volunteers) made it one of the smoothest GAS matches in memory. Following the match was a silent auction as well as a live auction dedicated to charities. 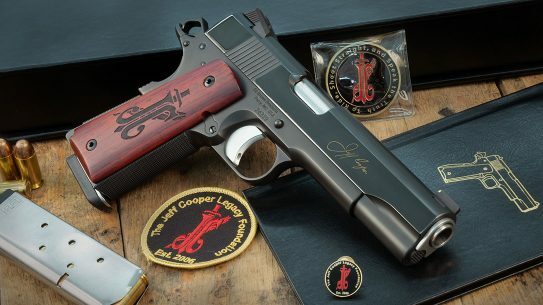 Items such as old Gunsite memorabilia and custom 1911s from Kimber and Colt were eagerly bid on. To say that Gunsite is unique is the epitome of an understatement. It is a place where you will be immersed in training designed to save your life while simultaneously having the time of your life with newfound friends. Consequently, countless lifelong friendships have been launched on the ranges as people of like minds get to share in a unique training opportunity. The instructors are very carefully chosen. 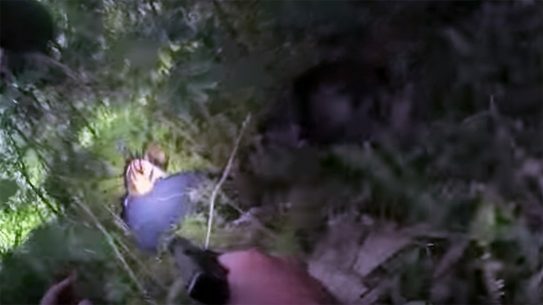 They are all highly trained men and women who have “been there, done that.” Furthermore, they have a military or law enforcement background, or have a high degree of experience and training in their field. 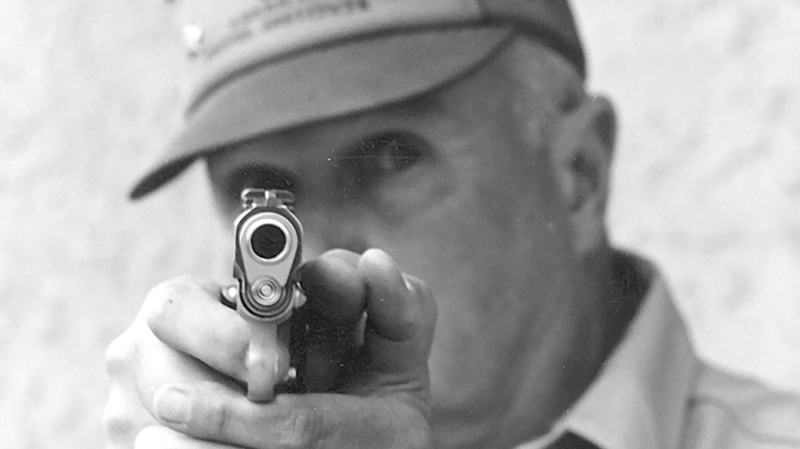 Many have been with Gunsite since Jeff Cooper was the lead instructor. 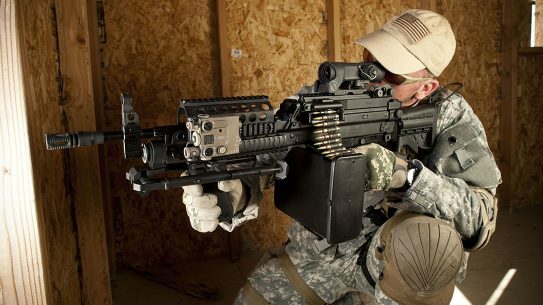 They are active and retired Marine Corps, Special Forces, Navy, Army and Air Force personnel from Operation Enduring Freedom, Vietnam and law enforcement agencies around the country. It is rare, if not impossible, to find a cadre assembled with such a deep background in their specific specialties. 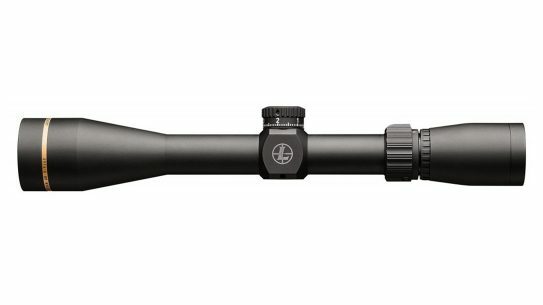 An example of that is the instructor for the extreme long-range course, which focuses on hitting targets at 2,000-plus yards. It’s led by a retired Special Forces sergeant major with over 25 years of experience. 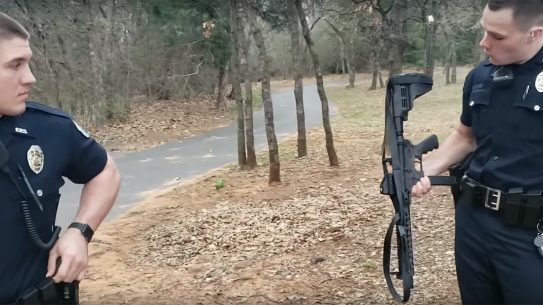 In addition, he was a contractor for 10 years and was the .50-caliber extreme long-range world champion two years in a row. While this is an incredible résumé, a similar story plays out with the rest of the staff. It is because of this commitment to excellence that Gunsite has enjoyed over 40 years of success. 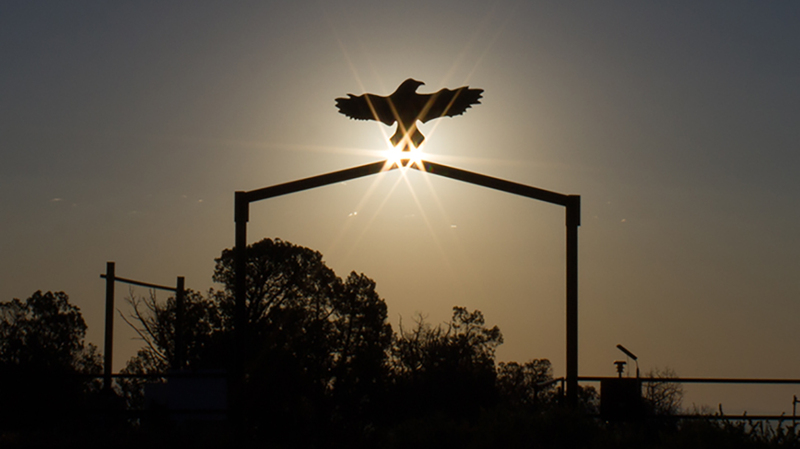 Mix in an exceptional administrative element and it is easy to understand why Gunsite is seen as the pinnacle of shooting schools. With the strength of such a talented team and a clear vision by the owner, I honestly believe that in another 40 years my son may be writing an article on Gunsite’s 80th anniversary. 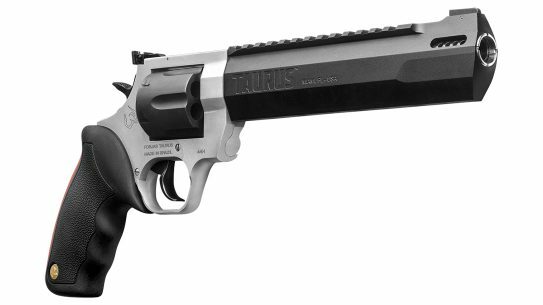 For more information, visit gunsite.com. 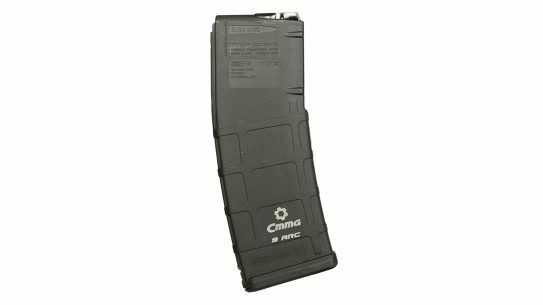 This article is from the 2018 issue of “Gun Buyer’s Annual.” To order a copy, visit outdoorgroupstore.com.